Pre-order The Earl on the Train Today! 1) An earl who wants to be an interior decorator. 2) A woman determined to start a business of magic potion perfumes. She also loves pink. The Earl on the Train is out for pre-order. Reserve your copy today for a New Year’s treat! How To Seduce A Spy Is Live! 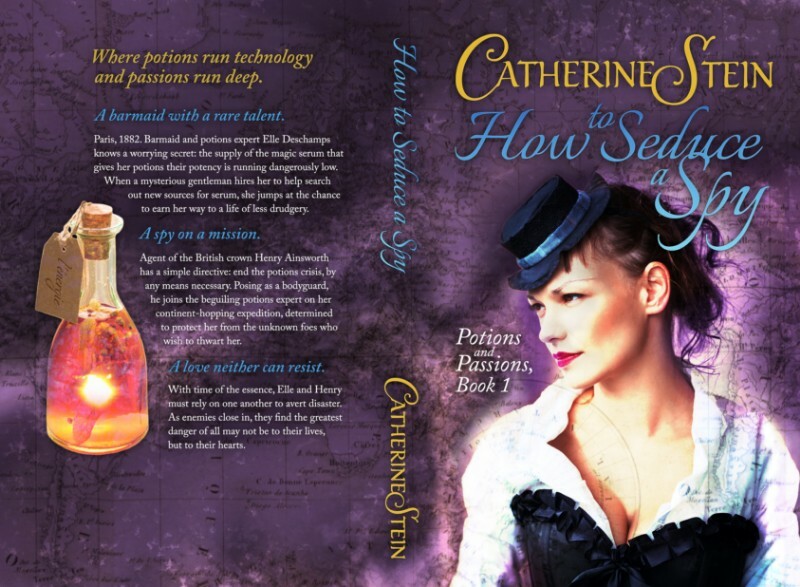 How to Seduce a Spy is available for purchase! I'm so happy to have my baby finally out there in the world. I hope you all love Henry and Elle as much as I do and that their story gives you a fun and happy break from your daily life. Thank you so much for you support, and Happy Reading! The book is available to retailers everywhere, so if you want to see it in your local bookstore or your local library, please request it! In my current Work in Progress, my hero and heroine enjoy playing games together. So I went looking for Victorian-era board games, and discovered this gem: The Mansion of Happiness. Mansion of Happiness is a typical move-around-the-board game like we all know, but in classic Victorian style it was intended not just for fun (The Horror!) but to impart Puritan-style morals to young people. The game even uses a teetotum (spinner) because dice were associated with evil and the devil. Players navigate a board full of vices and virtues as they try to make their way to the Mansion (aka heaven). WHOEVER arrives at the SUMMIT of DISSIPATION must go to RUIN. WHOEVER gets into a PASSION must be taken to the water and have a ducking to cool him. WHOEVER possesses AUDACITY, CRUELTY, IMMODESTY, or INGRATITUDE, must return to his former situation till his turn comes to spin again, and not even think of Happiness, much less partake of it. I hope everyone is enjoying the fall weather, football season, apples, pumpkins, cider, and more. I love fall, and this fall is particularly special because my debut novel, How to Seduce a Spy, is now available for preorder on multiple platforms! Print book will be available on or shortly before the release date of 11/5/18. Every newsletter I try to include an interesting bit of Victorian trivia that I have come across as I am writing and researching my books. The Victorian Era was a time of great interest in science, nature, and the world, and a time of many inventions. Some of their ideas worked out great! Others, well, not so much. Penny-farthing: the large-wheeled bicycle popular with young men from the 1870s to mid-1880s. Was called an "ordinary" bicycle until this term came into use in the 1890s, first as a perjorative. Most weighed about 40 lbs., and you picked your wheel size based on your leg length. To take a header: To go flying off headfirst. A very real danger with the penny-farthing, many of which had poor or no brakes and were prone to tipping. Scorcher: Someone who rides fast (and probably recklessly). Safety Bicycle: a bike with two wheels of equal or near-equal size and a chain drive. First available in the mid-1880s. Once these were widely available, the bike was no longer a toy but a practical vehicle for anyone. Thanks for reading, and if you’d like to see more like this, plus be the first to get book news, updates, contests, and exclusive content, sign up for my newsletter. Welcome to my new website. Here you can find information on my books, other works in progress, updates, contests, social media links, and my newsletter signup.